In2In offers some great opportunities for those interested in management improvement. Their conference is excellent. They also offer various conference calls with speakers knowledgeable about Deming and Ackoff’s ideas. These normally take the form of conference call presentations (similar to a podcast) followed by some question and answers. The consistently get remarkable people like, Gerald Suarez, and earlier: Peter Scholtes and Brian Joiner. Gerald Suarez is kicking off the new InThinking Network monthly webinar series. I worked for Gerald at the White House Military Office. He is one of the best presenters and most knowledgeable experts on Deming and Ackoff’s ideas working today. Gerald Suarez will present on February 9th on the topic of “Better Thinking About Leadership.” This is a great opportunity and there is no cost to participate. If you participate from outside the USA you can connect via Skype (from the USA you will be given a toll-free number to connect with – or Skpye, if you wish). If you can’t join the call, audio downloads will be available at some later date. Register here. If you can’t make the live event, I strongly recommend listening to the audio download once it is made available. The format of these sessions is a 90-minute session, each month – from February through November. They are held the second Thursday of the month, from 11:30 AM to 1 PM Pacific Time. Gipsie Ranney, in September: “Cause(s) of Concern,” a session designed to present and advance the understanding of common causes and special causes of variation. Gerald is currently a professor on the faculty of the University of Maryland’s Robert H. Smith business school and works as a consultant and keynote speaker. Look for him to share his expertise in leadership, which includes 8 years of service in the White House under Presidents Clinton and Bush, as the Director of Presidential Quality — the first such post in the institution’s history. This entry was posted in Deming, Management, Public Sector, Systems thinking and tagged Ackoff, Deming, leadership, learning, Public Sector, seminar, training on January 23, 2012 by John Hunter. Synthesis (thinking about systems) involves 3 steps: 1) what is this system of which this is a part of; 2) understanding the behavior of the containing whole; 3) identify the role of function of the system in question within the containing system. Every system is defined by its role in the larger system. This entry was posted in Creativity, Deming, Management, quote, Science, Systems thinking, webcast and tagged Ackoff, Creativity, quote, Systems thinking, theory of knowledge, webcast on May 13, 2009 by John Hunter. Photo of the White House, see more of my photos of Washington DC. 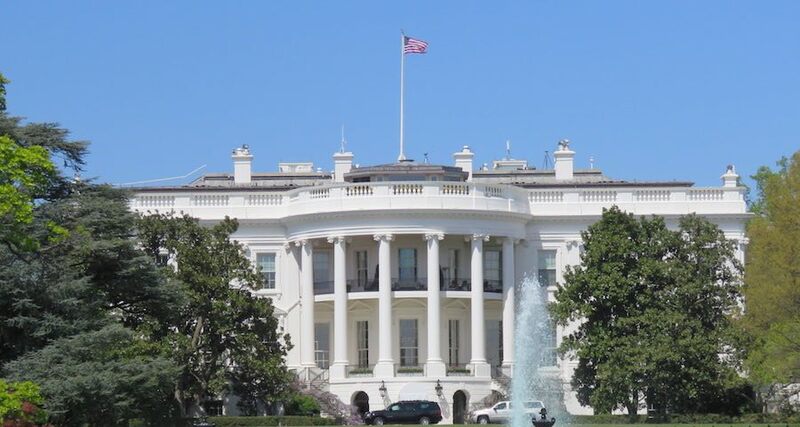 This article describes an organizational transformation effort undertaken at the White House Communications Agency. It shares the Agency’s efforts through the period of 1992-1998, beginning with a Deming-based approach to continuous quality improvement through implementation of a total organizational redesign using systems thinking precepts. It describes the obstacles to implementing quality concepts in a high visibility, high security organization and examines the influence of Agency’s organizational culture on quality performance and improvement. The discussion examines the applicability of several broadly accepted quality concepts to the “ultimate command-and-control” organization. The article is informative and interesting, enjoy. A couple years after this article I went to work for Gerald Suarez at the White House Military Office (WHMO). WHCA is one of seven operational units of WHMO, others include: Air Force One, Camp David and the White House Medical Unit. See more management improvement articles including in the Curious Cat Management Improvement Library. This entry was posted in Deming, Management, Management Articles, Public Sector, Systems thinking and tagged Ackoff, organization as a system, Public Sector, transformation on February 23, 2007 by John Hunter.